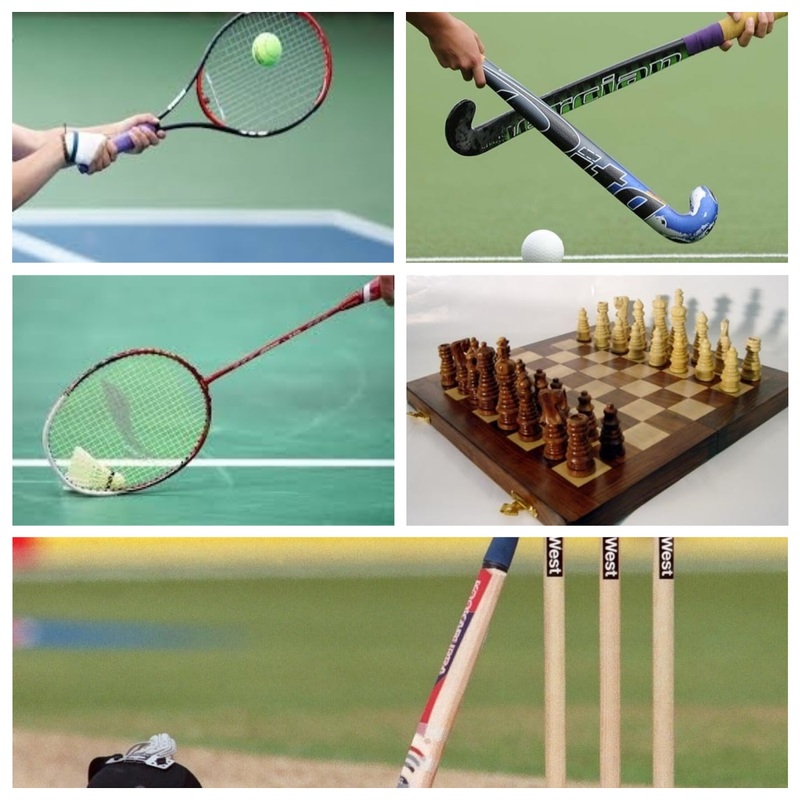 National sports day is one of the most important events in the Indian calendar. It is celebrated in entire India on 29th August every year. The entire India celebrates this day on the birthday of Major Dhyan Chand. He was the great hockey player who won several gold medals in Olympics for India in the years 1928, 1934 and 1936. He scored more than 400 goals in his career. On this day, The President of India present prestigious awards such as the Arjuna award, Dronacharya Award, Dhyan Chand Award, etc. to the sportspersons. 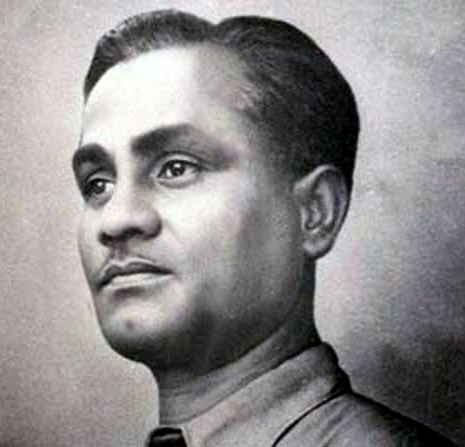 Major Dhyan Chand was a famous hockey player. Even today, he is considered the best hockey player produced by India. He was often called the magician of hockey as well. Dhyan Chand was born on 29th August 1905 in Allahabad in Utter Pradesh. He joined the army at the age of 16 following the footprints of his father. After joining the army, he started to play hockey as well. 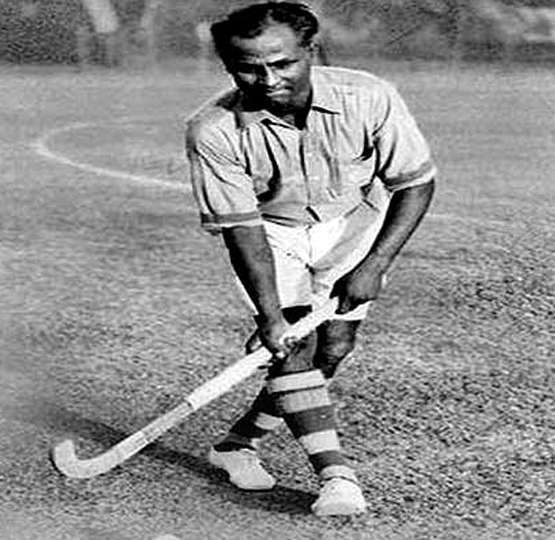 Dhyan Chand used to practice the hockey in the night and due to this habit of Dhyan Chand, most of his friends were calling him Chand which mean moon. 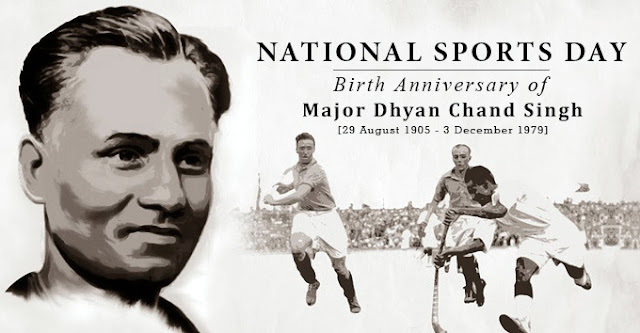 Initially, Dhyan Chand started his career in hockey by joining the army team and due to his great skills of playing hockey; he was selected in 1926 to play for the Indian army team & the team was touring New Zealand. Team India won 18 matches out of 21 and the performance of Dhyan Chand was appreciated. He was also promoted to the position of lance naik when he returned to India. Due to his great performance, he was selected in the 1928 Amsterdam Olympics. He was top scorer of 1928 Amsterdam Olympics with 14 goals. India also won the 1928 Olympics after defeating the Netherlands. Due to his astonishing performance, he was called the wizard of the hockey. India also won two other Olympics in 1932 in Los Angeles and in 1936 in Berlin due to the great performance of Dhyan Chand. There was a very famous story related to Dhyan Chand in the 1932 Los Angeles Olympics. In the 1932 Olympics, the final match was played between India and Germany. In this match, Dhyan Chand played barefooted to increase his running speed and beat Germany by 8-1. In the year 1956, he retired from the Indian army from the rank of Major and in the same year, he was honored with the Padma Bhushan award. He died on 3rd December 1979. Sport is very vital in the human’s life as it keeps us healthy, wealthy or active. There are several advantages of playing sports like it help us in building confidence, provides regular exercise, team-work, etc. Participating in sports also has psychological advantages like it relieves the stresses of everyday life. The government understands the importance of national sports day & promoting sports as well. They have taken several initiatives for the development of sports like khelo India, National Sports Development Fund, and Scheme for Promotion of Sports among Persons with Disabilities, Scheme of Assistance for Anti-Doping Activities, etc. Among all the schemes, Khelo India is a very popular initiative taken by the government. 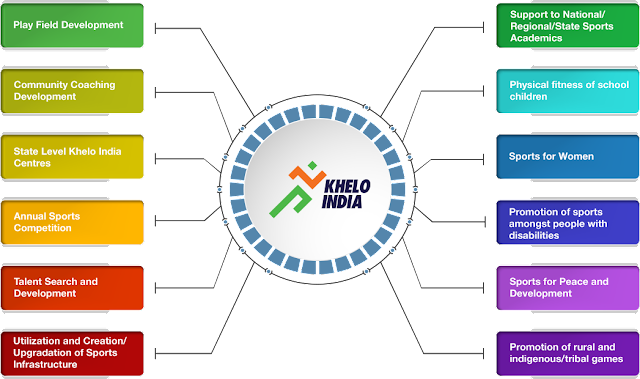 The main aim of the Khelo India programme is to revive the sports culture in India at the grass-root level by building a strong framework for all sports played in our country and establishes India as a great sporting nation. This program was introduced by the ministry of sports and youth affairs. Under this program, talented players will be identified and provide financial assistance of Rs. 5 lakh for 8 years. The major highlights of this initiative are as follows. • Promote sports for all as well as sports for excellence. Also, create an active population with a healthy lifestyle. • Use the sport as a tool for the development of the individual, community, society, and nation. • Develop the entire sports ecosystem such as talent identification, sports infrastructure, coaching for excellence, competition structure, etc. • Engage youth living in the deprived area in the sporting activities and mainstream them in the national building activities.